Homemade fermentation projects are the ultimate DIY project, and if you’re not fermenting your foods yet, here are 5 fermented food recipes to get you started. Fermentation is both an art and a science, using natural bacteria from vegetables and in our world to create wholly different foods via lacto-fermented vegetables (like kim chi and kraut), or using a blend of bacteria and yeasts to make fizzy beverages like kombucha and kefir. 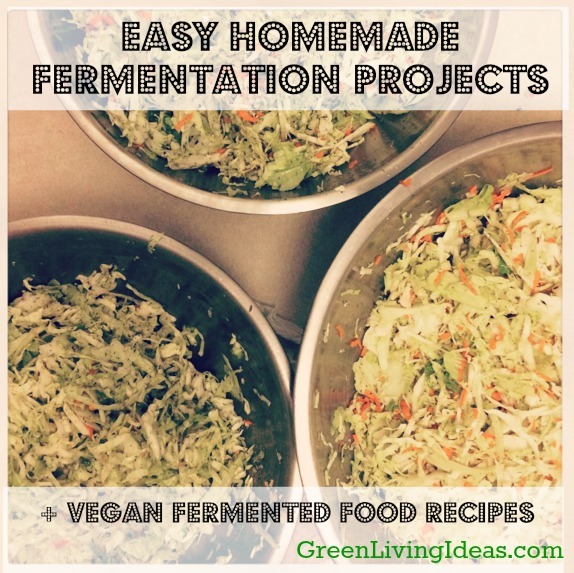 These homemade fermentation projects will truly change your life. Not to brag or anything, but homemade sauerkraut is like, my THING. It’s what I’ve become known for in my community and among friends, and I teach it to someone new at least once a month. It just gives me the warm fuzzies when a friend or student says they’ve integrated this wholesome old-world food into their daily life with positive results. One friend in particular has had persistent digestive issues for years, and while he was certain he hated sauerkraut and vinegary things, he’s become a convert. But the best part is that his digestion is better than ever, something he attributes to the kraut (and his awesome fiance, for making it!). To make kraut, all you really need is cabbage, salt and some jars, and one week of fermenting time– that’s it! I tend to add carrots, herbs, or other veggies into my kraut, but it’s all optional and based on personal preference. Click the link above for all my tips and tricks I’ve learned over the years of making this incredible food. I promise, homemade sauerkraut is really the best kraut you’ll ever eat, and your body will thank you! homemade kim chi with lots of carrots! While I personally prefer the taste profile of sauerkraut, I also enjoy making homemade kim chi. 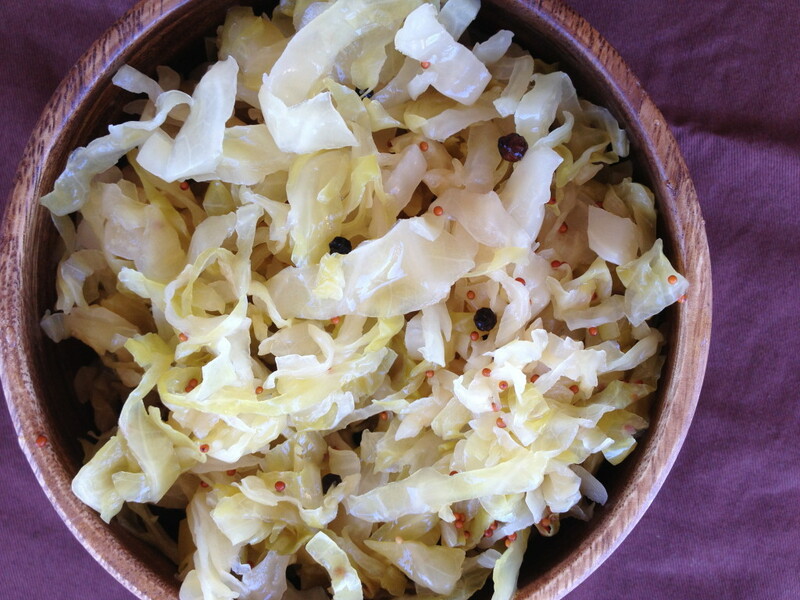 This ginger, garlic, and chili-spiced cabbage-based ferment is spicy and deeply warming. This classic food comes to us from Korea, and brings a huge punch of flavor to fried rice, vegetable stir-fries, soups and so much more. Like sauerkraut, the process is simple and easy, and the results are really crazy good. 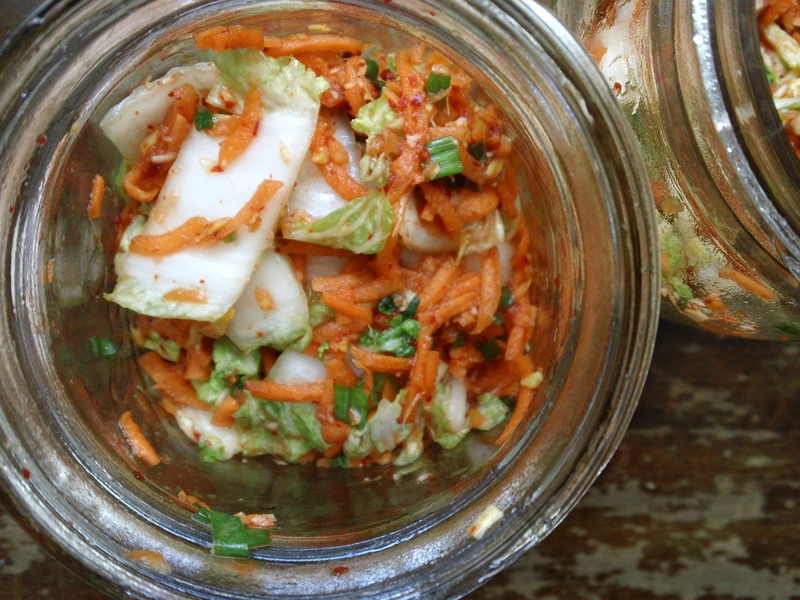 In just one week you can have nourishing and healing kim chi in your kitchen. Homemade yogurt is great, but seems like a really daunting project. 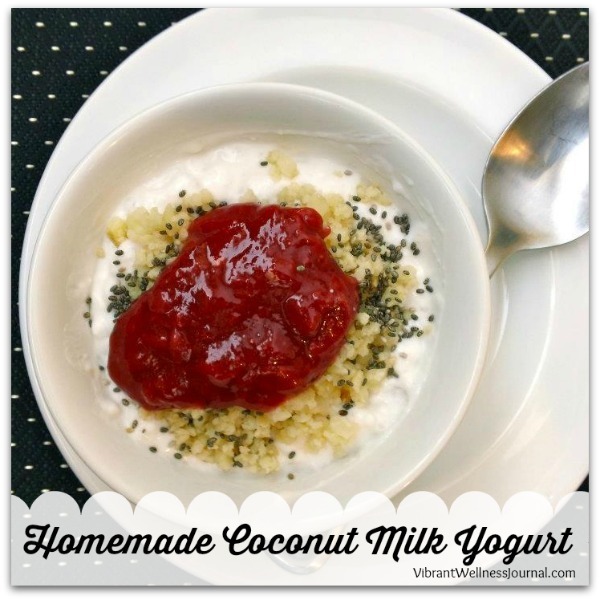 But it’s surprisingly easy, and you don’t need any special equipment for this recipes for Homemade Coconut Milk Yogurt. Using regular canned coconut milk, one container of packaged coconut yogurt and a little agar (vegan ‘gelatin’ made from seaweed), you can incubate the yogurt in your oven with the light on overnight: easy peasy. The best part is that this is a super low-sugar option, and it gives you freedom from all those little plastic containers! If you’ve ever tried those bottles of fizzy, fermented yumminess that is kombucha, you know how addicting it can be. Skip the bottles and expensive pre-made ‘booch and get ready to make some homemade Kombucha Tea. Becky at Eat Drink Better shows you how to make this ancient fermented tea product at home easily. 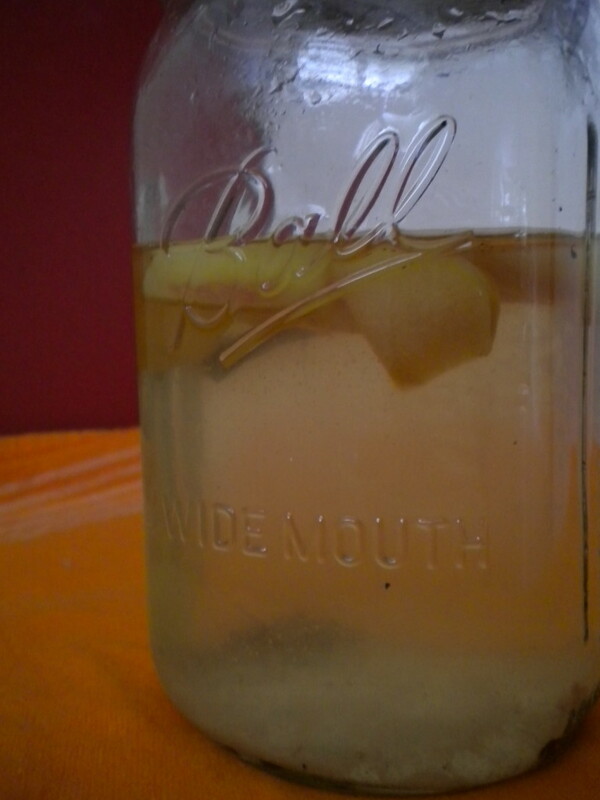 Homemade Water Kefir is similar to kombucha, but since it doesn’t use caffeine, it’s good for those sensitive to caffeine or lookig to sip something at night. Water kefir is made from vegan kefir cultures (which you can find online or at a natural food store), plus water, dried fruit and some sugar. This is a delicious dairy-free alternative to milk kefir, and can be sipped alone or as part of some healthy cocktails. + How to Eat more Sauerkraut! + Watch a video from fermented food expert Sandor Katz, the expert that I turn to with all my ferment questions!